The summer holiday is fast approaching and as the excitement builds, you need to start preparing yourself for the sweltering heat that comes with summer. While the hot sun is great for swimming at the beach and other outdoor activities, it can take a toll on your body and you need to brace yourself to have an enjoyable summer experience. The hot conditions has adverse effects on your body including increased perspiration which makes you more dehydrated in addition to having damaging effects on your skin. Here are the health tips you need for the summer. While you should always apply sunscreen when going outside the house regardless of the season, it becomes more important during the summer. Slather yourself with an SPF 30 sunscreen venturing outside to avoid suffering severe sun burns that are usually common in the summer. The sun’s harmful UV rays can also cause skin cancer. Also, find a suitable hat from Americanhatmakers.Com to protect your head from direct sunlight and a pair of sunglasses to minimize the effect of the bright sun on your eyes. Drink of plenty of water in the summer to help you cope with the summer heat. 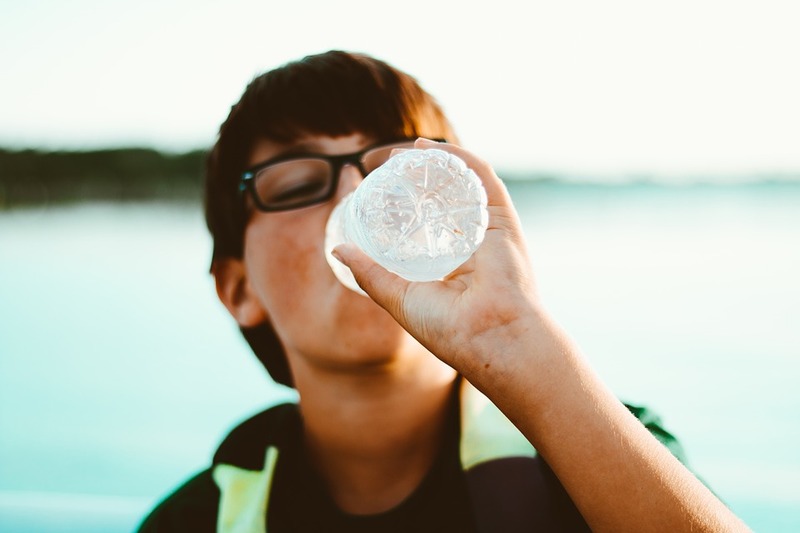 You will find yourself feeling thirsty more often and sweating more during the hot months and you need to replace the lost water by drinking one or two extra glasses of water than you normally do. Keeping yourself well hydrated is also essential in keeping a glowing and supple skin. Your skin gets dry and starts cracking when you are dehydrated. The increased sweating provides a fertile ground for the growth of bacteria which results into skin breakouts. Leaving sweat to stay longer on your skin can also lead to fungal growth that manifests itself as skin rashes. It therefore important to shower regularly and change into fresh clothes made of breathable fabric to keep your skin healthy and smooth. Regular showers also eliminate body odors. You need to invest in light clothes otherwise you will have an uncomfortable summer. The prices of light clothes tend to skyrocket when summer arrives and buying them now will save you a fortune. The clothes should be made of soft natural fabric so they don’t cling to the body. Materials made of synthetic materials like polyester cling to the body when you sweat and may start giving of an unpleasant smell. Moisturizing is especially more important in the summer since your skin gets depleted of moisture by the heat. Go for a light fast-absorbing moisturizer and apply it immediately after a shower to lock in the moisture before your skin dries up. The summer is not an excuse to throw caution to the wind and quit exercising while indulging in unhealthy foods. You can reschedule your gym sessions to the morning to accommodate the parties you get invited to in the evening. Better yet, you can engage in activities like swimming and hiking that are a physical activity on their own.